As the sun sets on June and Gay Pride Month, today marks the 43rd anniversary of The Stonewall Riots. The event officially marked the beginning of the movement for gay liberation, the time when activist groups in the New Left tradition began to form a militant alliance for equal rights; one year later, the first Gay Pride parade was held on Christopher Street in New York. 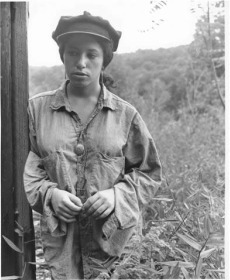 In 1969, Janis Ian did not yet identify as a lesbian, but as an 18-year-old folksinger who’d made her name at 13, inspired by the Greenwich Village folk scene, she was sensitive to the civil rights fights of her day and made a point to sing out. Her 1965 song, “Society’s Child,” concerned interracial romance at time when it was still illegal in some states; in 1967 “Society’s Child” became a hit. Forty years later, Ian was among the few people to write a song and sing about gay marriage (titled “Married in London”). Her views on the very 21st Century issue of file sharing were also cause for controversy: As an early adapter to the Internet, in 2002, she came out strongly in favor of free downloads which was not the position the record companies were taking. (For an economic breakdown on the ways in which file sharing is harmful to recording artists, I recommend you read everything David Lowery has written on the subject, starting with this letter to a file sharing enthusiast, which went viral last week). Ian paid for her outspokenness and details the story in a series of articles and within the interview below. Though I regret that more of my conversation with Ian didn’t make it into the manuscript of Keep on Pushing (our conversation took place while the book was in editing), I am presenting my talk with her here, largely as it appeared in Crawdaddy! Since we talked in 2010, the writer of “Society’s Child” has since turned 60; she and Pat Snyder have also celebrated 20 years of love and partnership. “I predict that within the next two to three years everyone is going to go back to telephones,” says Janis Ian. Sound unlikely? That’s what people said when she launched a website and message board in 1992 and bet on music’s future at the dawn of the world wide web, too. Proving the skeptics wrong, Ian took more heat in 2003 when she came out in favor of file sharing, a view not generally shared by her contemporaries. And yet, as the decade closes, Ian, a self-managed artist, has found the totally wired life to be less than satisfying; though it’s great for her business, it’s not necessarily good for her art. “Connection” is a word that that comes up often in Ian’s story—as a songwriter, her career is based on reaching people—but plugging into a collective, connective power has been more like a mission for her. 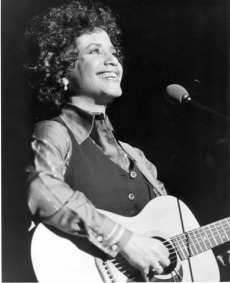 In 2002, Performing Songwriter published her piece “The Internet Debacle”, though before the article had even gone to press, Ian had royally pissed off the powers at the National Academy of Recording Arts and Sciences (NARAS), the Recording Industry Association of America (RIAA), and others in positions of influence in the music industry. “Am I concerned about losing friends, opportunities, my 10th Grammy nomination by publishing this article?” she wrote. “Yeah, I am. But sometimes things are just wrong, and when they’re that wrong they have to be addressed.” Ian took the position that free downloads were good for catalog sales, contrary to the industry’s claim that they were killing the business. And though she didn’t expect the article to be posted on over 1,000 websites and become subject of discussion from USA Today to the BBC or to create the firestorm of controversy it did, she is no stranger to friction: Her career was founded at age 13 when “Society’s Child”, her song about interracial love, was initially hated, banned, and ultimately honored as the groundbreaker it was. It is amidst a similar backdrop of high achievement, low ebbs, and complete chaos that Ian has constructed a life that has included not only music, but the study of acting and writing science fiction. In 2009, she released her recorded best on a two-disc collection of Essential Ian and told all in a book, Society’s Child: My Autobiography, now released in paperback. But make no mistake about the compiling: They’re just warm-ups for another song, another tour, and another day at the job site. As for so many workers, slowing down isn’t an option for Janis Ian. 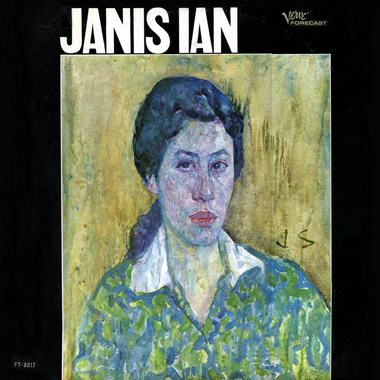 When Ian titled her 2006 album Folk Is the New Black, she wasn’t kidding: Compared to when she wrote her first song in 1963 and began to haunt Greenwich Village, there are exponentially more folksingers in the land than there are coffeehouses for them to perform in, though few of them will leave the legacy to protect that Ian will. As an exceptional product of her times, Ian played the B-3 organ into the wee hours alongside Jimi Hendrix in Village clubs, while she also had an interest taken in her by Leonard Bernstein, among other extraordinary highlights. As a teen, Ian walked with music’s giants. “[Dave] Van Ronk was great to me, always. Baez was great to me, Odetta was wonderful to me… Joplin was great to me, Hendrix was great to me, the guys in Joplin’s band were great to me… everybody except for the folk Nazis… I was pretty fortunate.” Yet none of her experiences embedded in the ’60s rock scene prepared her for the 21st century and what it had in store for her as a performing singer-songwriter. Remember, this is Janis Ian talking: Former child prodigy, writer of “Society’s Child”, “Jesse”, and “At Seventeen”, maker of over 20 albums, including one that went to number one. If things are so difficult for her, the average working songwriter is likely to be screwed. “My friend Jeannie said, ‘You know what, Janis? So you’ve got extra zeros in what you have, but you’ve got extra zeros in what you owe.’ And if you think about it, if I didn’t have hit records, I wouldn’t be paying $600 a month in storage to make sure my masters are safe. It’s all this extra stuff that comes with it that means someone like me is eventually going to start talking with places like Berklee College and saying, ‘Take this stuff off my hands and I’ll leave it to you.’” I’ve heard of the acquisition of a living artist’s ephemera by institutions of higher learning—surely there is one awaiting her call. No need to apologize, I tell her, I’m listening hard. As a self-employed writer married to a self-managed musician, I doubly understand Ian’s dilemma of running her self-proprietorship while keeping an eye on the future. Plus, Ian’s stories are not only relevant to self-employed writers and artists, they contain valuable information for anyone interested in this business we call music. “We used to be in the business of music, as in busyness. We are now in the industry of music. That makes us more like US Steel, Alcoa, GE, than anything to do with the arts. I hope that it would be self-limiting, like museums are, but it’s not because of technology. So what you have are these huge, moribund institutions—what are there, three record companies now, maybe four? And they change just as slowly as any institution.” Ian suggests that it’s literally a lack of vision that prevents the changes from rolling. “If you’ve ever tried to get a streetlight put up, you know how slowly these things work. I think what’s happened is something very similar to why Columbia Records lost out on the Beatles and the Stones and the early wave of pop music: Mitch Miller was head of A&R, he detested rock ‘n’ roll and said it was pap. When my first webmaster and I first went to BMI and ASCAP, back in the early ’90s, and we said, ‘People are buying albums off of this new medium; there is going to be a way to give them sound bytes off of this new medium and you have to start negotiating right now [for payment of royalties],’ they laughed at us. They thought we were stupid. The record companies are the same. It’s only this last year that things have begun to change at all. Nevertheless, Ian has always made music available for free on her website. You can go there right now and download her topical song about gay marriage, “Married in London.” Ian is so hot on providing music for free that record executives once suggested a boycott on her, though there has never been much love lost between her and her former labels. “Again, from personal experience: In 37 years as a recording artist, I’ve created 25-plus albums for major labels, and I’ve never once received a royalty check that didn’t show I owed them money,” she wrote. As an artist who has always made her living from touring, the exposure the web affords her has been worth the trade-off. “… When someone writes and tells me they came to my show because they’d downloaded a song and gotten curious, I am thrilled!” again, quoted from “The Internet Debacle.” Ian may be the exception to every rule, but seven years after she and others fought in its favor, the free download is an expected and accepted part of music consumption. Ian’s first demo was recorded in 1963. Even in her earliest works, like “Hair Spun of Gold”, a kind of “It Was a Very Good Year” rendered as a folk ballad for the teenage set, she revealed an understanding of the world beyond her 12 years of age. The songs, as well as “Society’s Child (Baby I’ve Been Thinking)”, were featured on her 1967 self-titled, Shadow Morton-produced debut album. Morton was known for his involvement with the three-minute teen dramas by the Shangri-las from Queens, but Ian was a different kind of New York girl: Her parents were subjects of surveillance for their political beliefs and Ian was pressured to adapt “Society’s Child” to steer away from race matters. However, her folk roots and convictions told her not to back down. Though the song was withdrawn, two years later it became a hit, and helped secure Ian’s future as a working musician when she was featured singing it on a television special hosted by Leonard Bernstein. Ian’s teenage hit-maker status also made her the perfect fodder for the teeny bopper magazines, of which she was no fan. The more conservative New York Times didn’t write much about her and Ian didn’t like Rolling Stone’s treatment of female artists. But she fondly remembers Crawdaddy!, which she said filled the breach. “Crawdaddy! would write about you like you were a full artist and you were doing work that might survive your life,” she says. But Ian was having trouble surviving her own life: Burnt out by the demands of teen stardom, she took what would become her first in a series of breaks from the spotlight. In her autobiography, she writes of the time between “Society’s Child” and her next success, the heartbreak song “Jesse”, as a time when she felt as if something was terribly wrong with her. Accidentally discovering the poetry of Arthur Rimbaud, she found in his lines the freedom to devote herself to being an artist instead of pop stardom. And the day on fire. But she’s back on the road with a difference: Ian’s full rig, the outboard gear, the bank of pedals, and the guitar hero solos have been traded in for an acoustic. The only augmentation to her set comes in the form of stories, something she learned to tell while on her book tour. “The first time I tried to read from the book it was just horrible. So I apologized and put the book down and started telling the chapter as I remembered it. For me, the stories have become like the songs. They have their own rhythm and their own beat.” And if the book is any indication, they’re juicy too, though they are ultimately the stories of a woman in search of making a connection, with her muse, herself, and her people, the fans with whom she connected through the message board she built up in 1993. Perhaps when the telephone makes its comeback in a couple of years, as Ian predicts it will, we’ll give her a ring and find out how things turned out.